The modern surgical medical center comprises of 5 floors (just 12km to airport and 5km to Lara area 8km to Kundu area sea Side Hotels) and 8 private patient rooms. Buttock Lift. A buttock lift can improve sagging buttocks and remove excess thigh skin. Breast Augmentation. Improves the size and appearance of the breasts. Liposuction. Liposuction Improves facial and body contours by removing unwanted fat deposits. Body Contouring. One or more procedures may be recommended to achieve your goals for a more youthful, contoured body. Neck Lift. A neck lift is actually a set of procedures used to enhance the appearance of your neck. Rhinoplasty. Purpose of this surgical procedure known as rhinoplasty is to solve the nasal deformities and reshape the nose. Hair Transplantation. Hair transplantation is an operative intervention for the purpose of advanced hair restoration methods. Face Lift. Improves sagging facial skin, jowls and loose neck skin. Fat Transfer. Fat injection or grafting has broad applications in cosmetic surgery. Fat injected into areas requiring volume-enhancement produces safe, long-lasting results. Silhouette Lift. Silhouette Lift is an FDA approved minimally invasive technique used to lift and tighten sagging tissue. Chemical Peel. Skin peeling involves an application of a chemical solution to sun-damaged, unevenly pigmented, and finely wrinkled facial areas. 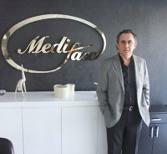 I am very happy I found this clinic and got in contact with Melmet shes wonderful. She was so positive and was always there to answer my questions very professional. She was there for me the whole time even during the operation :) The doctor was also very professional he knows what his doing. Its only gone 10 days that I had the surgery and I am already very happy with the results. I had a rhinoplasty and already My nose change alot . The staff made me feel calm and they took good care of me after the operation I loved it and I am happy I choose this hospital I looked a long time and this one was the one that I felt was the best for me . MD. Hadi Nural is a Board Certified Plastic Surgeon who's state-of-the art cosmetic surgery facility is located in Antalya, Turkey. 1989 Was Graguated From ISTANBUL Universty Medical Faculty. And Start to ENT Specialization training at ISTANBUL Haseki Hospital. 1993 With ” Snoring and sleep Apnea Surgical Treatment Results and complications” Topic thesis. RHIOPLASTY, AESTHETİC FACIEL PLSASTIC SURGERY and SNORİNG TREATMENT. HE IS ALSO ATTENDED ON MANY NATIONAL AND INTERNATIONAL MEETING . 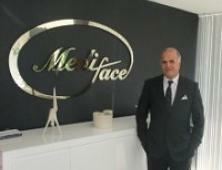 09/2011 2nd 5 – CONTINENT MEETING FOR LASER MEDICINE AND AESTHETIC. CANNES / FRANCE. 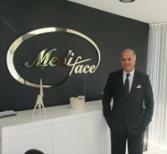 09/2010 ANNUAL CONFERENCE IN THE 33 YEAR OF THE ACADEMY OF EUROPEAN FACIAL PLASTIC SURGERY. MD. 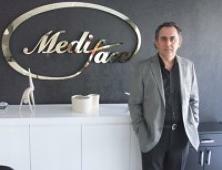 Erkan Dodanli draws upon his impressive background to deliver the superb plastic surgery results. 1984-1992 Compulsory service in Manisa and Antalya , after completing his military service in ISPARTA, He Started To work be on Tourism Doctor in ANTALYA. 1992-1997 His Specialist Training; BAKU unıversity Neriman Nerimanov Hospital and İSTANBUL Haseki Hospital on ENT Department. 1997 ‘ With a thesis on “Adenoid of vegetation effect on enuresis nocturna” Has been compileted and Being an ENT and Head Neck Surgery Specialist. 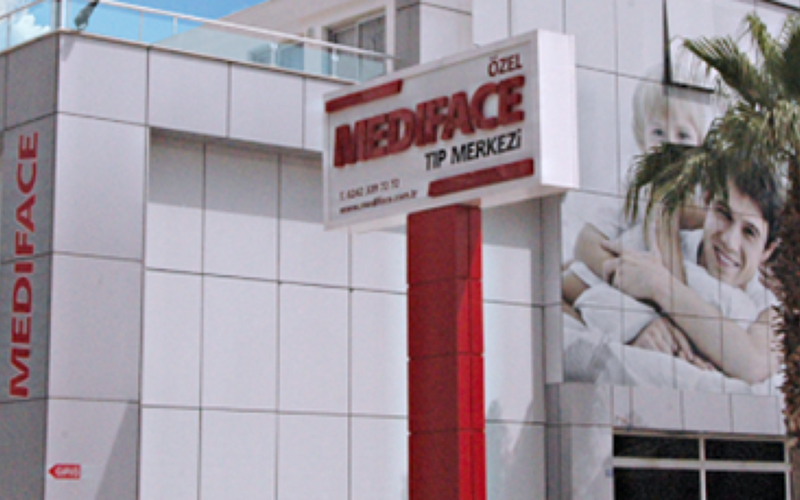 1997-2011 Back To ANTALYA and established Antalya’s first ENT center called ENT-MEDIFACE. IN ADULTS SLEEP APNEA AND SNORING, IN CHILDREN THAT THE WITH RADIOFREQUENCY LASER TREATMENT OBSTRUCTION ADENOID VEGATATİON TONSİLS. HE IS ALSO ATTENDED ON MANY NATIONAL AND INTERNATIONAL MEETİNG . Located on the shores of the Mediterranean Sea, Antalya attracts millions of individuals with its gorgeous land and historical riches. The combination of the sun, deep blue sea, the mountain covered with trees will truly captivate your attention. Places to visit in Antalya — Kaleici (Old Antalya) Kaleici (Old Antalya), Clock Tower, Old Harbor, and Yivli Minare. 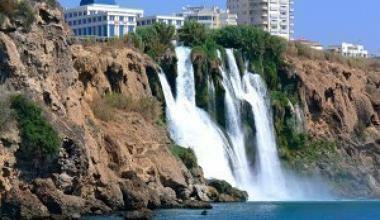 Antalya enjoys an authentic cuisine which is a delightful blend of the Arabic and Mediterranean influences. Turkish cuisine is one of the lushest tastes in the world. What can you expect on your plate? Sac kavurma (meat), Kolle (cooked by mixing different types of corn and fruit sprinkles – sugar added) and Hibes (halvah). Be sure to try these appetizers: dolma, ezme, haydari, cacik, hibes, humus, and imambayildi. The options are endless — Antalya offers many 4 and 5 star hotels with close attractions for shopping dining, and unwinding. 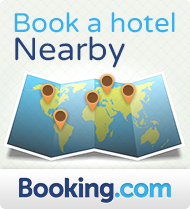 Hotels offer superior quality and comfort with many additional amenities and facilities. Whether you are looking for an inexpensive, simple hotel and traveling on a budget or a luxurious hotel with grand amenities, you can find a great number of hotels to suit your taste.